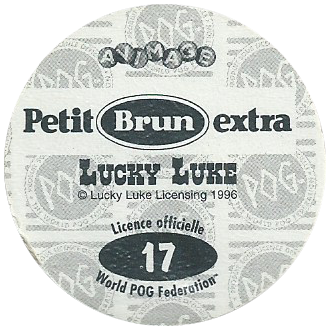 Info:These pogs would have been given away with packs of Petit Brun biscuits sold in France. 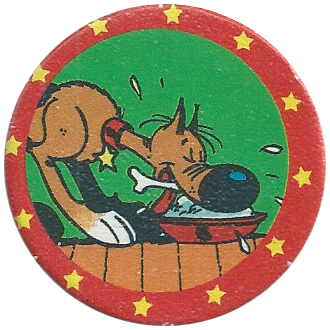 They came as 3 caps cut but unpunched on a card, with 6 cards to collect for a total of 18 pogs in the set. 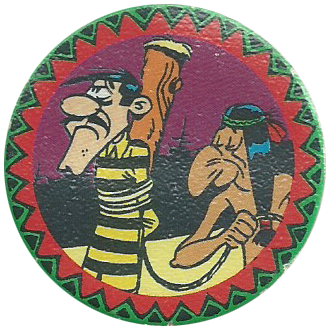 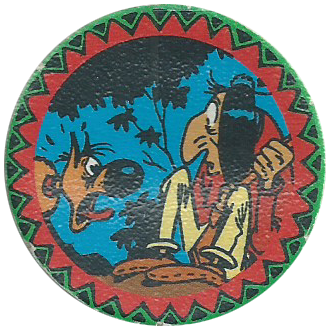 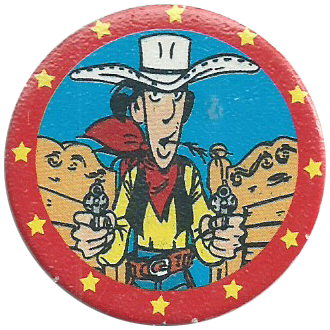 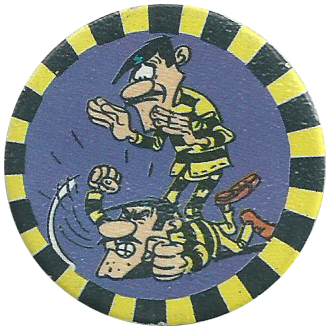 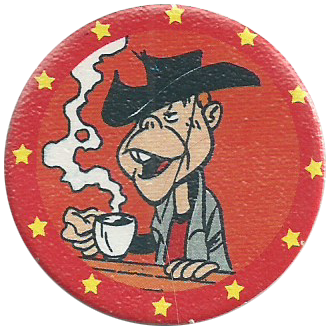 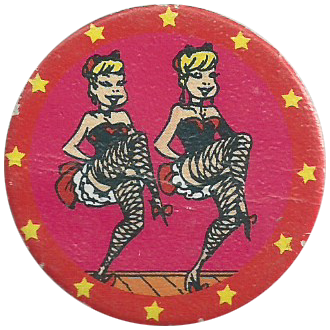 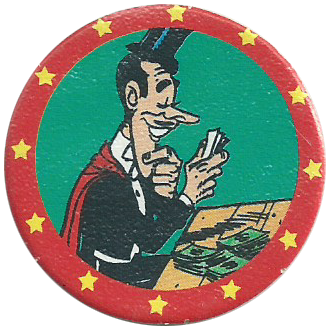 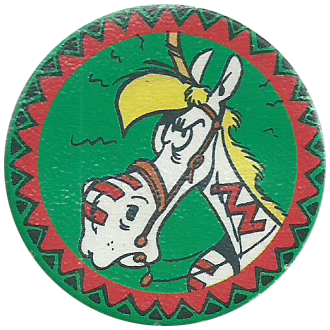 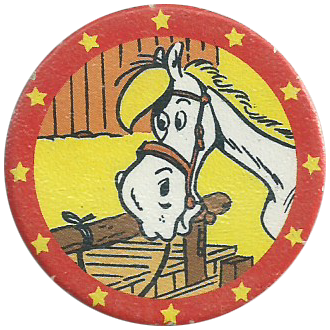 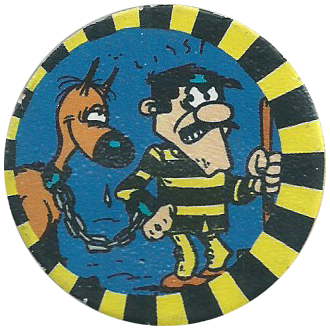 Thanks to Klaas for the scans below, for the full set see Lucky Luke - Petit Brun Extra on Génération POG.